Hermann Finsterlin was active in the German expressionist architecture movement in the early 20th century. 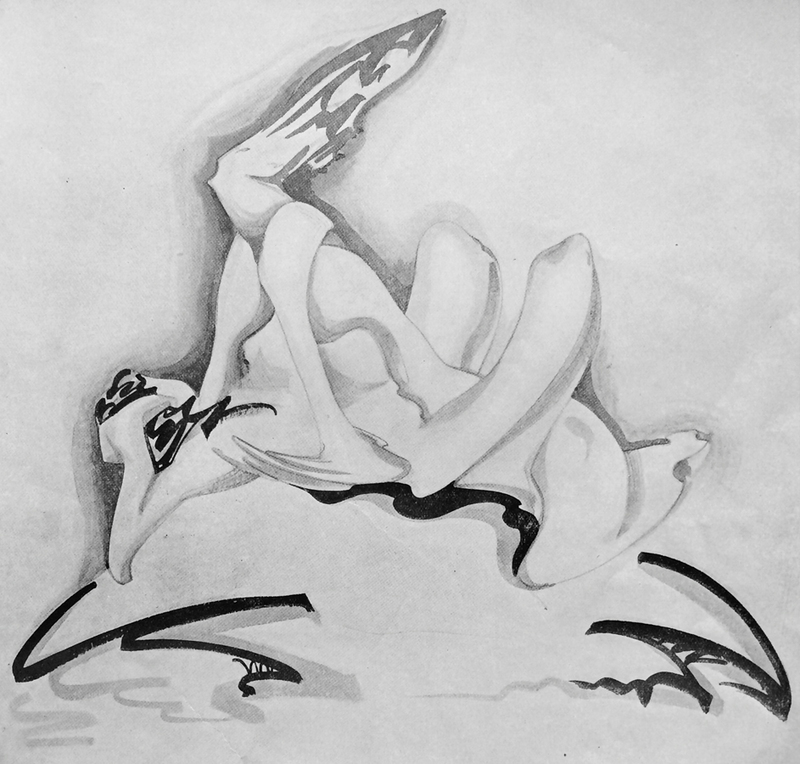 World War I combined with the political turbulence and social stirring that followed the German Revolution resulted in the utopian and socialist attitude of the expressionist. There was an underlying effort to achieve the NEW. The style was characterized by: expression of inner experience instead of realism, distortion of shape for an emotional effect, and the study of psychological effects of form and space. The research of dreams and the unconscious influenced Finsterlin [x]. Nature was also a source of inspiration. Finsterlin studied the naturalist, Ernst Haeckel [x]. Because economic conditions limited the number of built commissions it resulted in many expressionist works remaining as projects on paper. Finsterlin never built a permanent structure which entitles him a visionary architect. However I believe this is not a consequence of the financial climate but because he was a radical expressionist and produced studies of the most unrealizable buildings. Finsterlin was an idealist, he allowed insight to a fantasy world which was impossible to visit. That the presentation of his concept was more important than the actual finished product is an aspect which I like and can relate to. The artist Sol Le Witt said that ”…the idea or concept is the most important aspect of the work. When an artist uses a conceptual form of art, it means that all of the planning and decisions are made beforehand and the execution is a perfunctory affair…” I believe these words and that they can be applied to Finsterlins work, as conceptual art questions the nature of art, Finsterlins architectural work questions the nature of architecture. 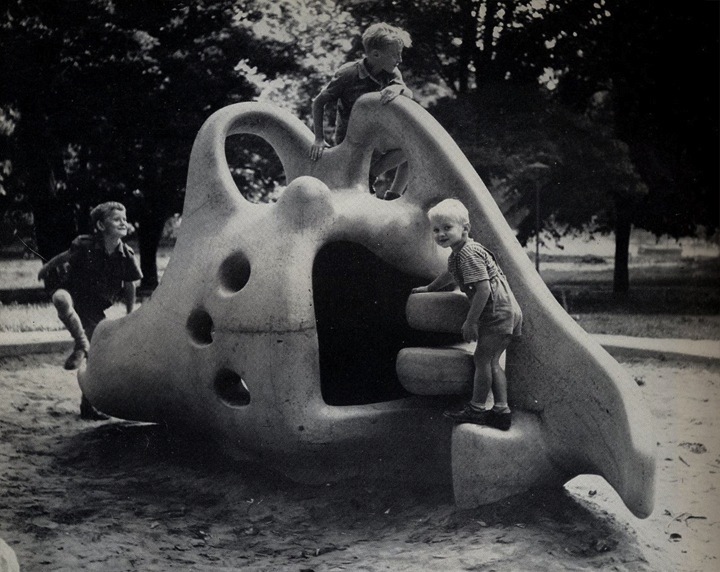 I find Finsterlins work to be pleasing because I draw parallels to the Danish architect and sculptor Egon Möller Nielsen’s playsculpture Tufsen from 1949. As a child I would endlessly play on the abstract and surrealistic sculpture. It was my favorite thing to do in Lund’s city park. The possibility of not simply admiring the sculpture but also physically experiencing it was fantastic. Though Finsterlins work remains on paper his work is still regarded as architecture and not drawing or painting and that that is enough is good. But it is a paradox because I also have a desire for the work of Finsterlin to really exist.